ISSJ participates to a large number of international scientific programmes including European and international satellite validation projects. BIRA-IASB operates a SAOZ instrument since June 1990. The station is also equipped with a high-resolution FTIR spectrometer operated jointly by BIRA-IASB and the Université de Liège (Belgium). View of the Jungfraujoch station. 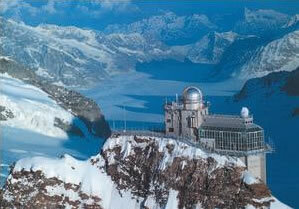 More information concerning the Jungfraujoch research station can be found on http://www.ifjungo.ch/. From June 1990 to June 2014, BIRA-IASB has operated a SAOZ instrument (Système d'Analyse par Observations Zénithales). This instrument has been designed in the late eighties by Jean-Pierre POMMEREAU and Florence GOUTAIL from the CNRS, France. It's a fully automated broad-band instrument (300-600 nm) optimised for the measurement of stratospheric NO2 and O3 at the twilight using the DOAS technique. 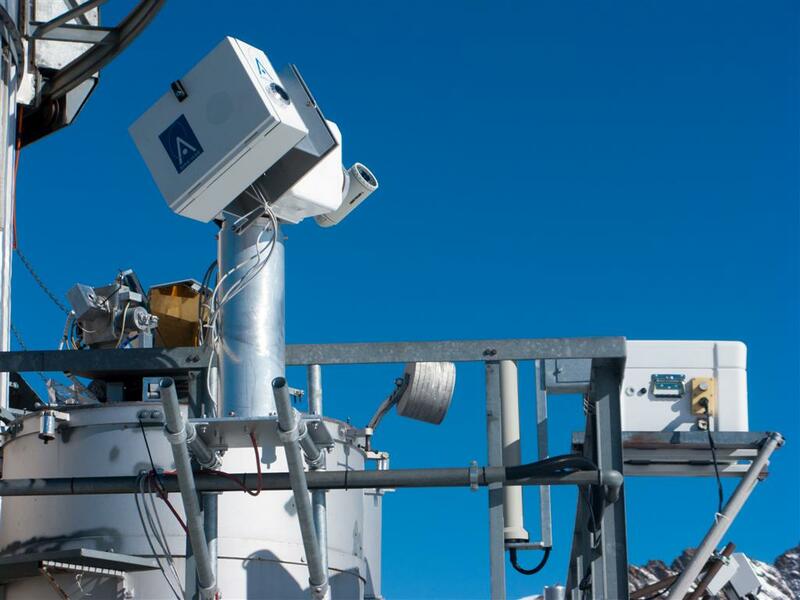 The instrument will be replaced with a mini-SAOZ using a Avantes spectrometer probably in 2017. Since July 2010, a MAXDOAS has been installed close to the SAOZ. The instrument is a dual-channel system covering the UV (300-390 nm) and the visible region (from 400 nm to 550 nm) with a resolution of ~0.4nm and ~0.9nm respectively. A description of the instrument can be found here and in Clémer et al., 2010. ). Multi-axis scans from the zenith to below the horizon (down to the Kleine Scheidegg valley) are implemented, as well as direct-sun measurements. Time series of morning and evening twilight observations of O3 and NO2 total column amounts can be extended back to 1990. BIRA-IASB provides the CALVAL (http://nadir.nilu.no/calval/index.php) and the GEOMON (http://www.geomon.eu/) data bases with these data in HDF format. The O3 times series and the NO2 times series cleaned from tropospheric signatures are also available on the NDACC data base in NASA-AMES format.